Top class racing returns to Kentucky this week, as Keeneland’s annual fall season gets ready to open for its three-week, 17- day, boutique meet from Friday, Oct. 5 to Saturday, Oct. 27. 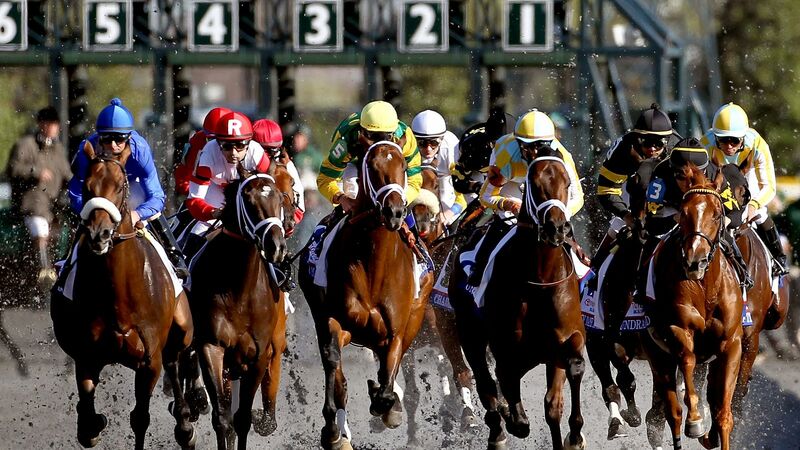 The meet will attract big fields, good horses and a load of top jockeys and trainers befitting the world epicenter of thoroughbred horseracing in Lexington, Kentucky. Since Keeneland’s fall meet is only three weeks long and the meet’s stakes are front-loaded so they can be Breeders’ Cup prep races, the time is now for handicappers to start brushing up on some of the things they need to know to make money at the fall’s marquee meet. Keeneland’s 18 stakes races are worth more than $5.75 million. Six Grade 1 races are slated for the meet, including five during the prestigious “Fall Stars Weekend” on Oct. 5-7. Fall Stars Weekend alone will offer nine graded stakes worth $3.7 million. Five of those races are Grade 1 events. Opening day on Friday, Oct. 5, will feature the $400,000 Alcibiades (G1) for 2-year-old fillies at 1 1/16 miles, and the Phoenix (G2) for the sprinters at 6 furlongs. The Saturday, Oct. 6 card includes the $1 million Shadwell Turf Mile, the $500,000 Breeders’ Futurity (G1), the $400,000 First Lady (G1), the $250,000 Thoroughbred Club of America (G2) and the $200,000 Woodford Stakes. Racing on Oct. 7 will be highlighted by the $500,000 Spinster (G1), the $250,000 Bourbon Stakes and the $200,000 Indian Summer Stakes, a prep for the new Breeders’ Cup Juvenile Turf Sprint. When looking ahead to the Breeders’ Cup, remember that the winners of more than 40 Breeders’ Cup races have made their final prep at Keeneland’s fall meet through. Keeneland’s most productive preps in that regard, historically, have been in the Thoroughbred Cub of America, Spinster, Shadwell Turf Mile, Alcibiades and Breeders’ Futurity. From a handicapping perspective, Keeneland plays much like a lot of other tracks with an average of 35% winning favorites and 72% of favorites finishing in the money. The average win payoff lands in the 9-2 to 5-1 odds range. Historically, Keeneland was always known as an inside-speed paved highway in terms of handicapping. That all changed during Keeneland’s Polytrack era, but the old rail bias has reemerged since Keeneland went back to a dirt main track. At the most recently completed Keeneland meet (Spring 2018), the one-post won at a 20% clip in dirt sprints and at 24% clip in dirt routes. Aside from the rail in sprints, horses seem to have a fair chance from all posts out to post 11, with inside, middle and outside posts all offering fair win percentages. In two-turn route races starting at a mile or more, horses can also win from any part of the starting gate, but overall, the inside five posts produce the best win percentages. As far as the preferred Keeneland main track running styles, horses have their best chance by staying within two lengths of the lead at the first call in sprints, and within four lengths of the front at the first call in routes. Front runners do best at 6 furlongs (21% wire-to-wire rate), where 33% of the winners can be termed early speed horses, and at 1 1/16 miles (20% wire-to-wire winners). The other main staple of the quality day-to-day racing at Keeneland is the great turf racing, which features full fields, tons of value and loads of good overlays. Post positions and horses for the course are very important handicapping factors on the Keeneland grass course, and this factor will play out all throughout the meet. In Keeneland turf routes, inside posts are good, but middle posts are fine as well, all the way on out to post 7. The far outside posts, however, are not great at most distances on the Keeneland grass. Based on a large sample size in turf routes run at Keeneland since the fall of 2014, posts 1-7 all yield between 10%-14% win percentages, with the outside posts averaging far worse percentages. The worst races for outside posts will definitely be at the one-mile distance, and the absolute worst posts for all turf routes are posts 10 and outward. Those posts combined to go 0-for-47 a few years ago and have been only slightly better since then. Two horses did manage to win turf routes from post 11 at the 2018 spring meet. One thing that differentiates Keeneland from so many other places is that they routinely run on wet turf courses that are listed as “yielding” or something else other than “firm”. Don’t overlook these softer turf courses when looking for value, because they are often a source of some of the best longshot payoffs at the meet. Handicappers in these races often make the mistake of paying too much attention to a horse’s recent form while ignoring what really matters in many of these cases — whether or not the horse can run its best race on a wet turf course. Remember that certain horses like firm turf while others prefer a little bit of give in the ground. If you can differentiate between the two, you will have a big advantage over the general public in the races run on softer turf courses. Keeneland doesn’t card very many turf sprints, but with the popularity of these races among fans and particularly horsemen, expect more to be run this season than ever before. Only eight of these races were contested at the 2018 Keeneland spring meet, including two stakes. Horses won those races from a variety of posts. Two winners went wire-to-wire, three won from within two lengths of the front, and three won from three lengths or further off the pace. Off-the-pace runners that rally from between 2-6 lengths behind with a half-mile to run. Several post positions win at double-digit percentages in these races, including posts 8, 9, 10 and 12. So, upgrade outside runners in those races if the betting public mistakenly overlooks them. The jockey standings at Keeneland look very different in the fall than they do at the spring meet. 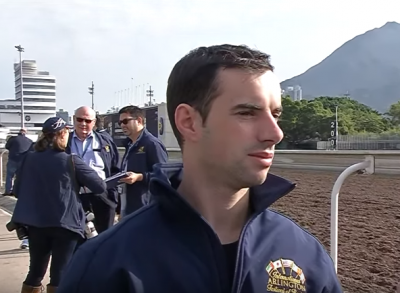 This past spring, the jockey title came down to a battle between Florent Geroux and Jose Ortiz with Corey Lanerie and Joel Rosario in closest pursuit throughout the season. At the fall meet however, Ortiz, Rosario and others, including Irad Ortiz, John Velazquez, Luis Saez and many more, are riding full-time at the Belmont fall meet and will make only sporadic appearances at Keeneland during the season. The Keeneland fall meet jockeys’ room is all about the usual Kentucky faces, including the aforementioned Geroux and Lanerie, along with Julien Leparoux, Brian Hernandez, James Graham and many more. All will be trying to dethrone the defending Keeneland fall meet champion Ricardo Santana, who won 20 races from 83 mounts in fall 2017 to run away with the riding title with a 24% winning percentage thanks to riding first call for some prominent trainers, including, most notably, Steve Asmussen. As Asmussen goes this season, so too will Santana. The only other jockey up above 20% last year was Jose Ortiz, who won nine races from just 33 mounts for a big 27% win rate. The discussion of Keeneland fall trainers this year must begin with Mike Maker, who has been racking up giant win percentages at major Kentucky meets, including Keeneland and Churchill Downs. There is little value to be found with Maker on the tote board, but, nevertheless, his horses are impossible to overlook and must be respected, even at short prices. This is also the case with Wesley Ward, who does his best work with short sprinters and 2-year-olds. Todd Pletcher no longer targets this meet, but his role of shipping horses in from New York to win at a high percentage in stakes and allowances, particularly on turf, is now being filled by Chad Brown, who is bound to bring good horses to Lexington and win with a good number of them. As mentioned before regarding Santana, Steve Asmussen is now targeting the Keeneland fall meet and he will be a force to be reckoned with if his 9-for-36 record from the 2017 fall meet is any indication. Asmussen was second behind Maker in 2017. The other trainer to watch based on his performance at last season’s Keeneland fall meet is Mark Casse, who was third in the standings. Casse scored seven wins from 33 starters for a win rate of 21%. Other trainers who can usually be counted on to invade Keeneland with live runners include the New York contingent of Bill Mott, Shug McGaughey and Christophe Clement, who should be splitting their stock between Keeneland and Belmont during the month of October. This group of trainers tends to excel in turf races and routes. The local circuit of trainers typically excel in sprints, maiden races and claiming races. The top local barns will compete at every level, including trainers like Ken McPeek, Dale Romans and Eddie Kenneally. McPeek, in particular, was the multiple-year leading trainer at past Keeneland fall meets. McPeek’s weakness at this meet tends to be with maidens, but he should be strong in all other categories. Brad Cox, who actually had a down fall season at Keeneland in 2017 with a 5-for-31 record for only 16% wins, should be expected to win at a better clip than that in 2018. Cox does great work in all categories, particularly on the turf. Rusty Arnold will attempt to relive the glory from his 2017 fall meet again this season, but it will be difficult to match his 5-for-20 record from last year here. Ben Colebrook also did well in fall 2017 and will hope to repeat a 5-for-20 win record as well. A good handicapping angle at the Keeneland fall meet involves distance cutbacks. Horses cutting back in distance from a race at a mile or longer last time to a sprint are customarily very good bets. Particular trainers to watch with this angle include Dallas Stewart, Graham Motion and Ian Wilkes. Some of the best fall racing in the land will be held during the 17-day Keeneland meet from Oct. 5 through Oct. 27. I wish you an enjoyable and successful meet.